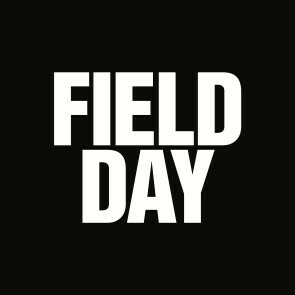 The ninth edition of Field Day will be held at Victoria Park, in the heart of East London on Saturday 6 and Sunday 7 June 2015 and the festival recently revealed the new line up additions that will be joining the likes of Caribou, FKA Twigs, Django Django , Run The Jewels, Hudson Mohawke, Chet Faker and Nina Kraviz on the Field Day Saturday 6 June bill. TÃLÃ makes her first ever festival appearance, in a London exclusive, to Field Day 2015. The London based producer/singer/songwriter will bring her mix of Middle Eastern tradition, sultry R&B and atmospheric industrialism this summer. Also on board this year is LA Priest, the project from reclusive electronic musician Sam Dust of Late Of The Pier, whose new single 'Oino' is out on Domino. Meanwhile, Heavenly-signed Hooton Tennis Club, with their languid lo-fi in the classic Teenage Fanclub and Pavement tradition, have also been added to the Saturday line up. The festival also revealed that i-D Magazine will be hosting a stage at Field Day on Saturday 6 June and th line up includes Oslo based disco and house producer Cashmere Cat, PC Music founder and producer A. G. Cook, New York hip-hop trio Ratking, electronic collective Future Brown, Rinse FM residents Elijah & Skilliam, Honne, as well as Sweden’s Yung Gud with more to be announced soon. Also appearing will be the likes of Nina Kraviz, Madlib, Ben Klock and Marcel Dettman, Klaves, Lemmy Ashton and Frau DJs, the all-female DJ collective.